The flamboyant rocker reflects the new direction and style of the house. 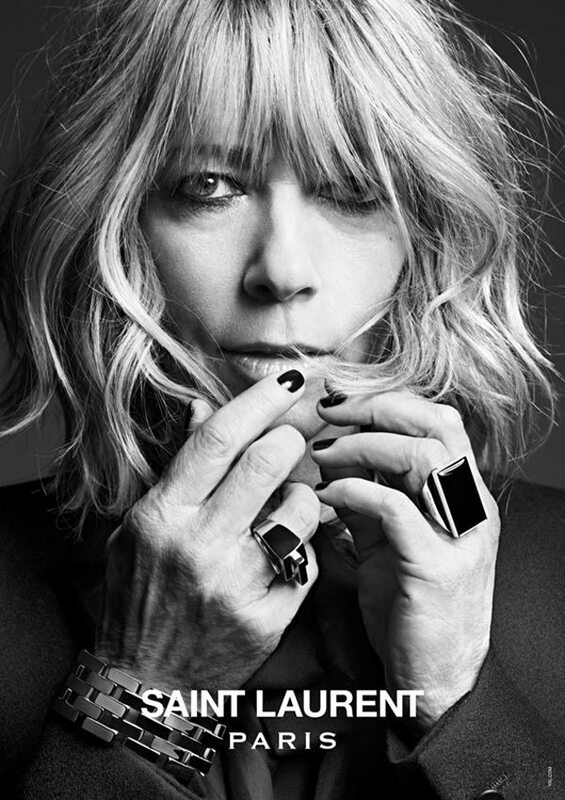 since february 2012 the fashion house has a new creative director hedi slimane, slimane rebranded the line as Saint Laurent Paris. 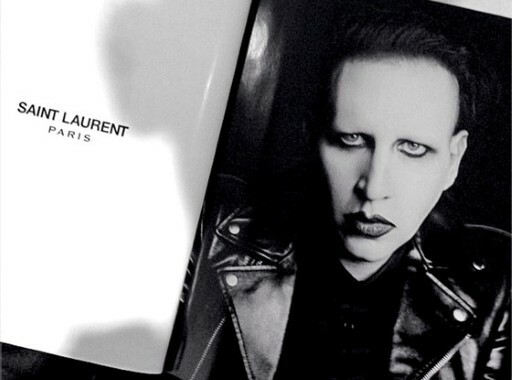 Manson will be the new face of the mens spring collection . Last month during the pFW Hedi showed his love for the 90’s with his new collection, an ode to Kurt Cobain and courtney Love. The collection oozes grunge he said`. Nicola Formichetti, the creative director of Mugler was the one who released the picture of manson on instagram. 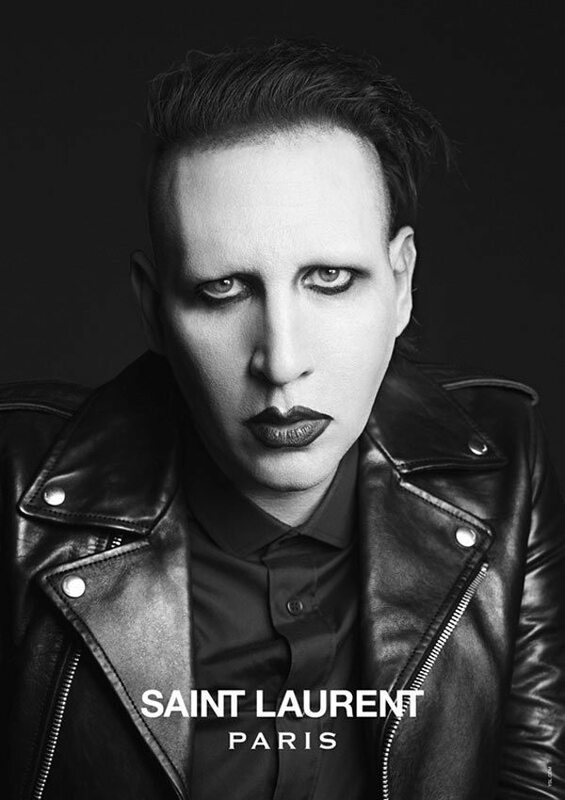 As you can see on the pictures there is like the typical “manson look”, the black eyeshadow , white face and black leather jacket. Manson wasn’t the only suprising face to sign in ! 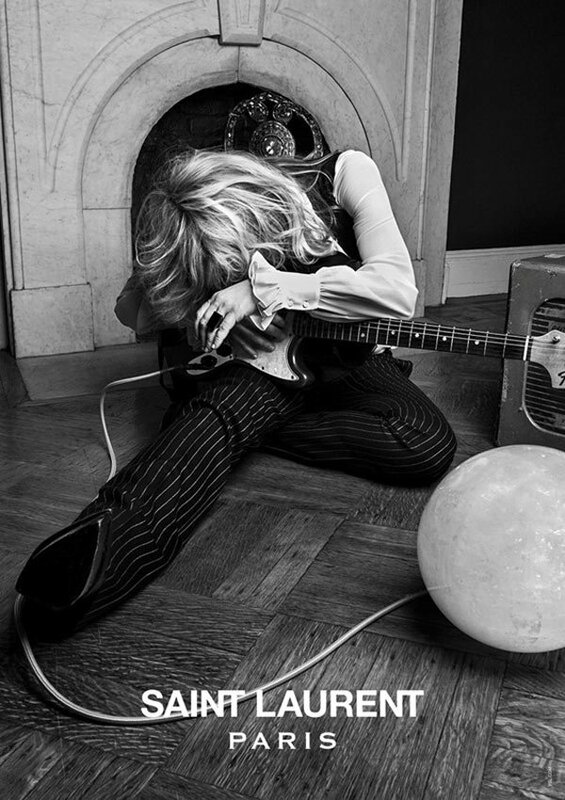 also 48 year old Courtney love was chosen for the Saint laurent music project. 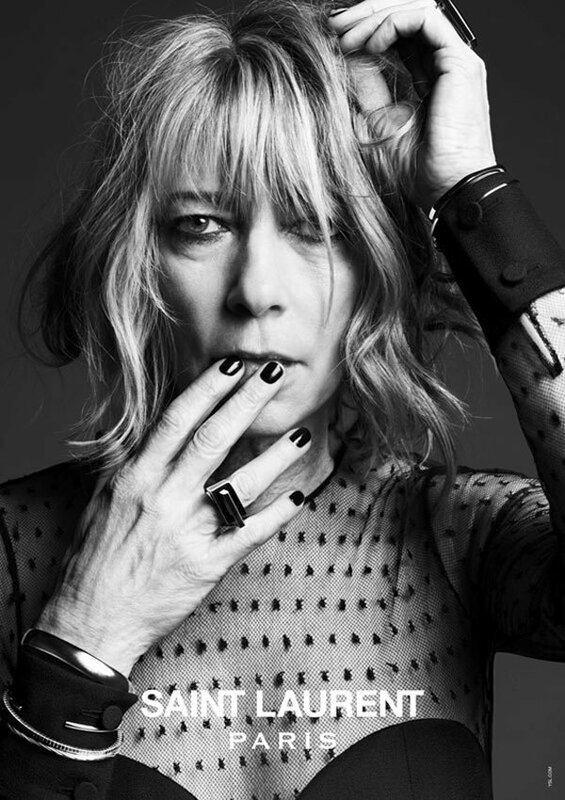 Designer hedi slimane,previously featered beck and Sky Ferreira as campaign faces, making it evident that he’s inspired by the rocker theme .while he’s been consistent with his choice of musicians to uphold that look ,he definitely took it a step further by letting his models style themselves to capture the utmost authenticity and they really went wild with that freedom. They accessorized the designer pieces with crowns, fur and instruments. The Campaign features some outlandish shots of the stars, who each have their own edgy reputation. Posted in HOME and tagged Courtney Love, Fashion, Marilyn Manson, Saint Laurent. Bookmark the permalink.